EFRS: Nice Weather for Buzzards! GOOGLE HAS BROUGHT YOU TO A VERY OLD POST. CLICK HERE TO BE TAKEN TO THE LATEST ENTRIES. SORRY FOR ANY INCONVENIENCE. ITS GOOGLES FAULT NOT OURS! OTHERWISE JUST CARRY ON READING. What a filthy drab day out today but we did have a full compliment and this time due to weather and time restrictions we where mechanised. With Grey Lake under water and not being in the mood to walk all over Shapwick or Ham Wall we plumped for a 'cruising for birds' tactic. Which involves kerb hedge crawling along the lanes of the Somerset Levels with camera and binoculars at the ready. We did stop off at Catcott but little took our eye other than the obligatory Great White Egret. The ducks consisted of Widgeon, Teal and Mallards. Plus a few smart looking Pintails. Further cruising found us at Tealham Moor where the Whooper Swans where but are no more. Amazing sight of the flooded fields either side of you as you drive along a single track. Strangely this weather always seems to bring out the Buzzards. We must have seen over a dozen. 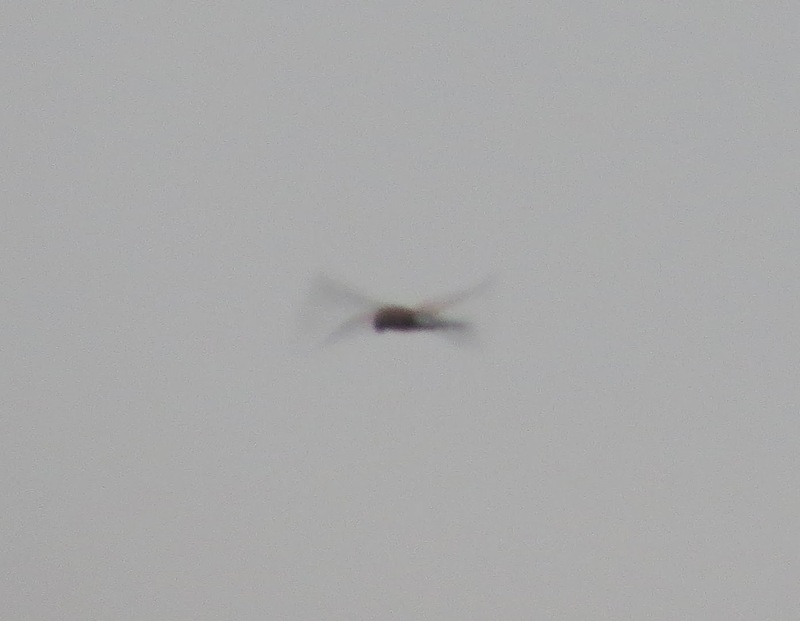 Is it a Dragonfly or is it a Kestrel? ?